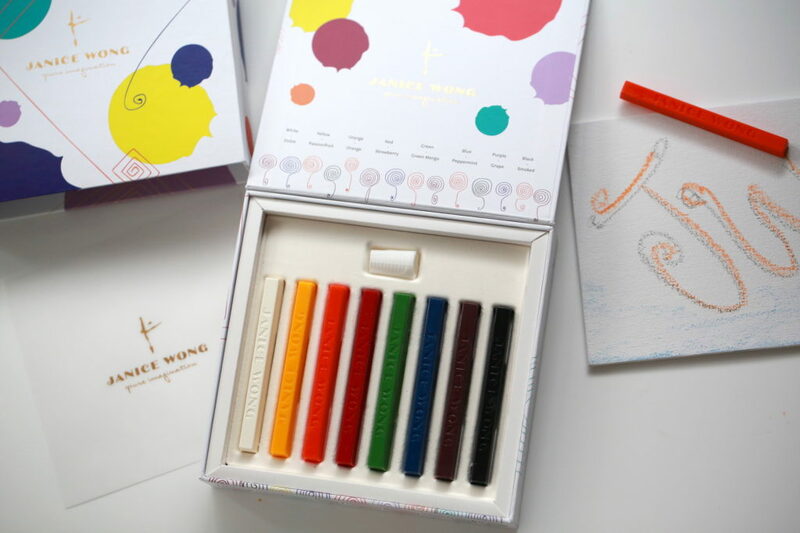 These beautiful sticks of delicious chocolate that resemble artists’ and designers’ pastel crayons make perfect gifts for your designer friends. Flavours include dulce, passionfruit, strawberry, grape, green mango, peppermint, orange and smoked. Includes chocolate crayons (10g ea), silicon holders, 1 canvas, 2 pieces edible rice paper. Box of 8 (S$36), Box of 40 ($105). 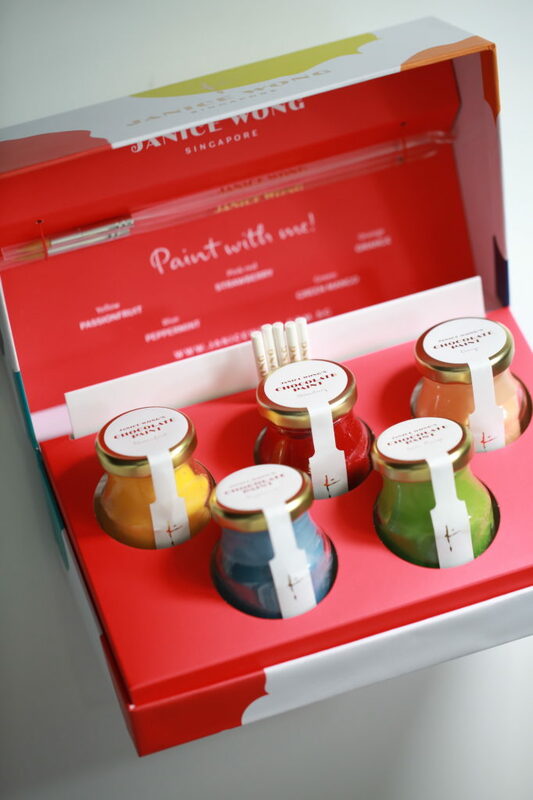 Comes in a Set of 5 Chocolate paint jars (70g), 2 brushes, 5 lollipop stick, 1 acrylic board. $69. Individual jars at $7 each. 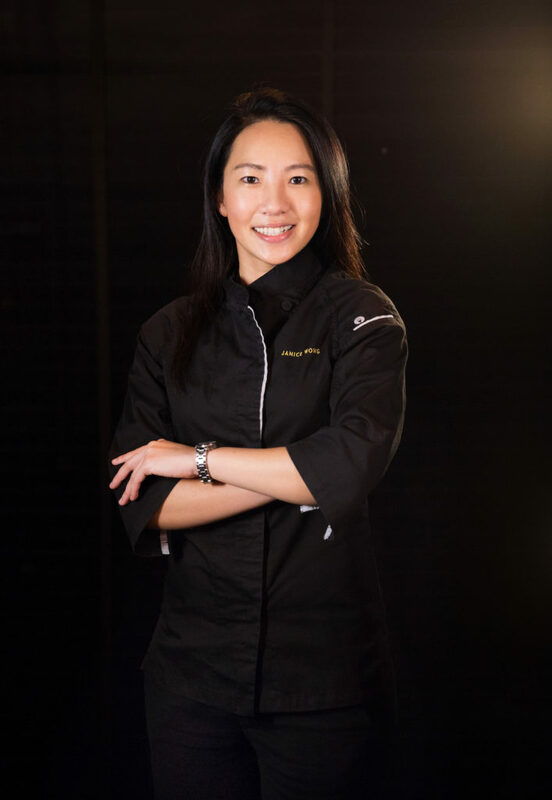 Singapore pastry chef and founder of 2am:dessert bar and sweets confection brand in her name, Janice Wong has expanded her presence beyond her home country to London, Macau and Tokyo. 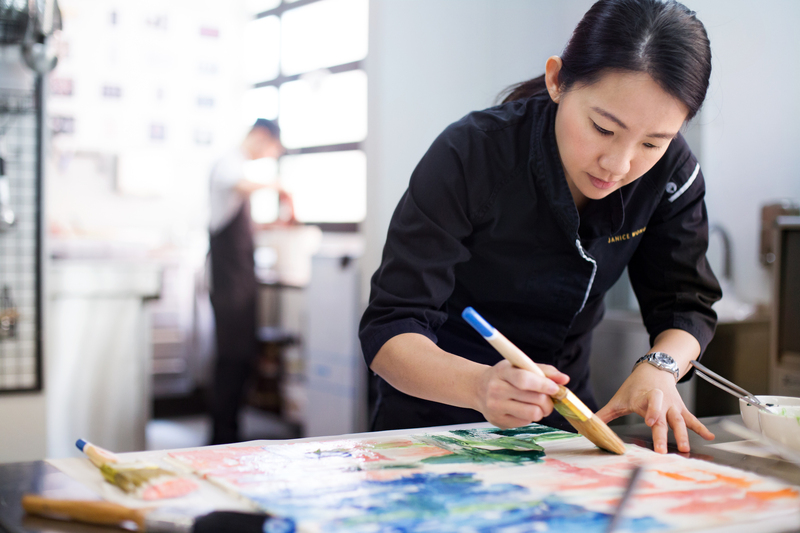 Wong’s passion for culinary art and visual design sees her creating chocolate, sweets and dessert items that are beautiful, colourful, artistic and playful. 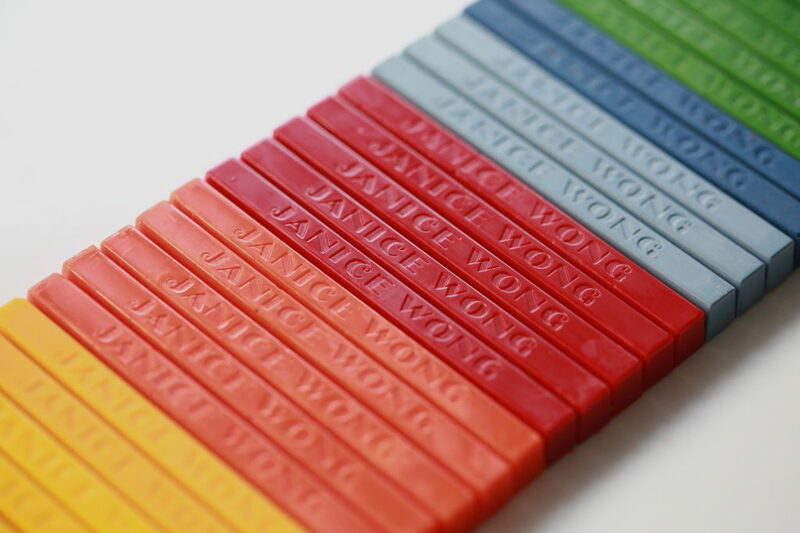 Janice Wong Singapore can be found at the National Museum of Singapore, Concession Store at Terminal 3 Changi Airport, Paragon, Raffles City and DFS T Galleria, and online at Janice Wong Singapore.